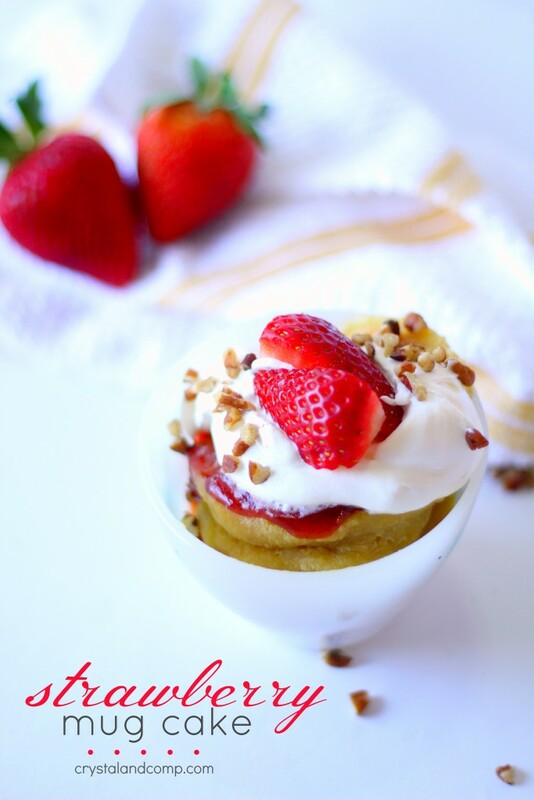 We have found a love for microwave mug cake recipes! They are simple and amazing. I also love that they are single servings and use very limited ingredients. This carrot cake is perfect for Easter or any other day of the week. 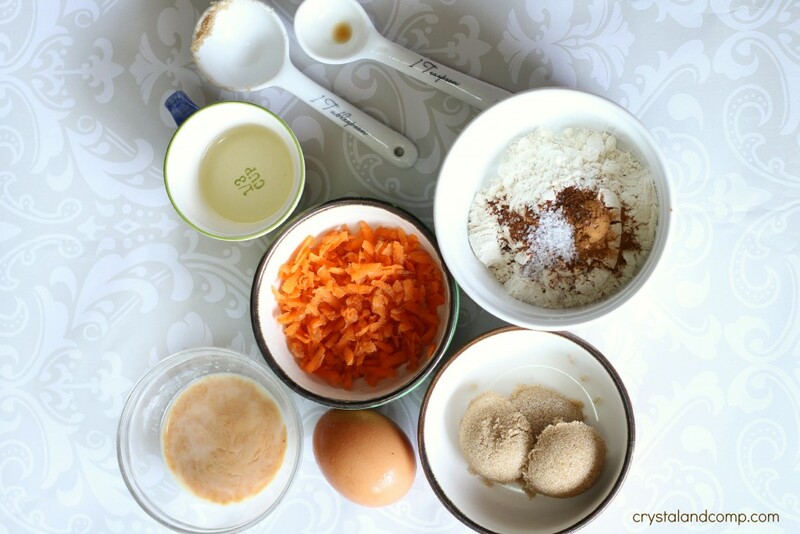 Just grab a mug and these few ingredients and you’re ready to make cake! In the mug add the oil, eff, milk, vanilla and sugar. Use a whisk to mix well until well combine. Add in the flour, baking powder, salt and spices and whisk until all lumps are gone. Fold in the shredded carrot, the pecans and the raisins. Pop it in the microwave for 2 and a half minutes in a 600W microwave. If your wattage is different adjust cook time accordingly. Take it out and let it cool 100%. Once cool, add the heaping spoonful of the Cool Whip. Sprinkle with more of the chopped pecans. 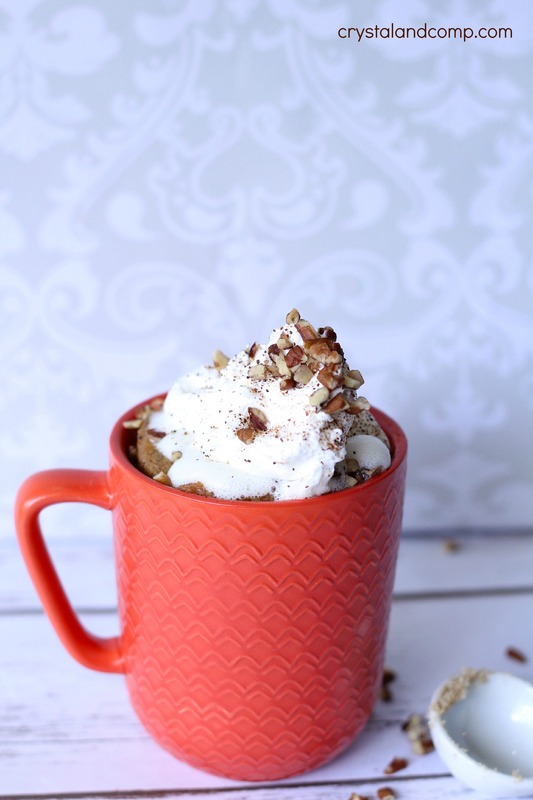 This is so yummy and perfect for any after dinner sweet craving. Also, try our Strawberry Mug Cake as well. So delish! YUM!! I just love carrot cake – it’s my all time favorite. 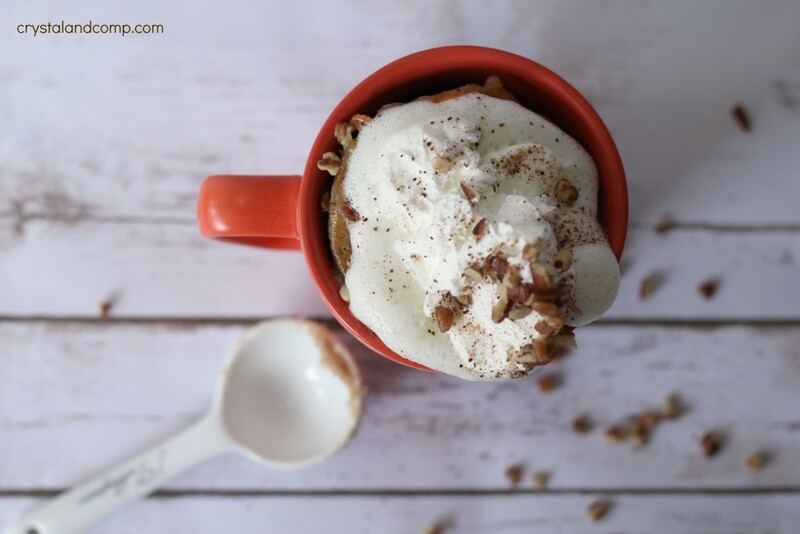 I love mug cakes – they are so simple and delish!! Thanks for sharing!! I keep seeing these fun cakes in a cup… I think it’s time I tried one out for myself! You made this look so easy. I haven’t tried making mug cake ever but if there’s a will, there’s away! Btw, I found your blog via Learn to blog! Wow, you caught my attention at carrot cake. And these will be perfect since I don’t have the whole cake to tempt me. Thanks for a great recipe and great instructions. This carrot cake looks delicious and Yummy!… An innovative and interesting carrot cake idea…I hope I will give it a try soon :). YUMMED! This is an amazing recipe! Beautiful and simple, a total perfect win, win! Please join us At Thoughts of Home Thursday, we would love to have you! If I were at home, I’d be in the kitchen right now, this looks so good! Thanks for stopping by Throwback Thursday! We can’t wait to see what you’ll have for us next week! Beautiful!! Makes me want to eat one right now!! Sharing on Facebook, etc. Have a wonderful weekend. 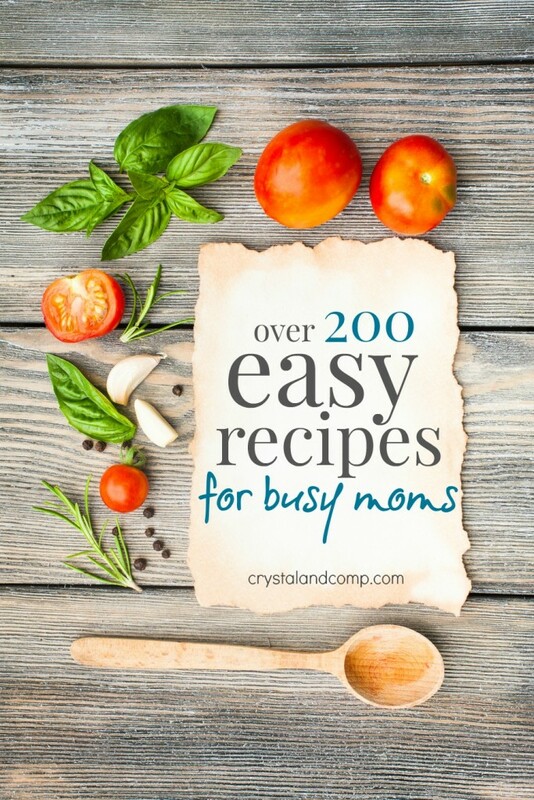 Love your inspiring posts, Crystal. Such a great way to get my carrot cake fix without having a whole cake lying around testing my will power! Thanks for linking up at #SaucySaturdays.